18" Vinyl Fence Notcher | Hoover Fence Co. 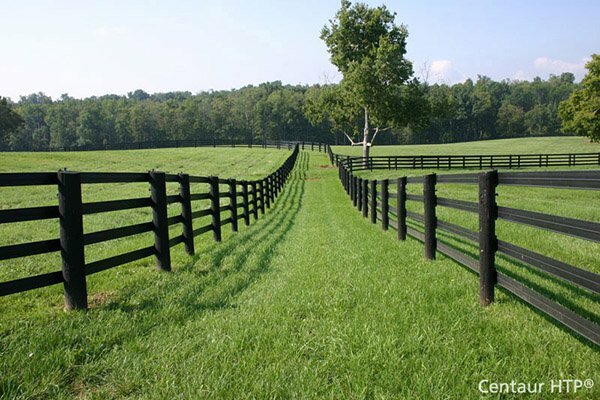 Eliminate the need for lock-rings when installing vinyl fence rails into posts. This handy tool crimps notches into the rail and replaces the lock-rings that are normally used. Simply insert the jaws of the notcher into the middle opening of the rail and close. Makes a perfect notch every time. This is a quality heavy duty tool with a chrome head and rubber grips. The notcher is a full 18" long and weighs 2.5 lbs. Makes a clean 3/4" wide notch. After notching, just slip the rail into the routed post until you hear it click. Rails can also be removed if necessary by using a C-clamp to compress the rail before pulling out of post. Even amateurs can make quick work out of a once tedious job. Also save cash by not having to buy any lock-rings. Give 'em a try, you'll love the fence notcher. Comes with a manufacturer's 1 year warranty.